Mount Kilimanjaro is one of Tanzania’s most sought after landmarks. A marvellous and magnificent mountain that’s surrounded by enchanting rainforest and an array of rock gardens, and topped off with a cap of snow that offers a colourful contrast to its peak. It’s a beautiful sight to behold and one that is held in high esteem for Tanzanians and the rest of the world. There’s no wonder why it is one of the most popular mountains to climb. It offers an exhilarating and exciting adventure to all who embark on the journey of climbing it. 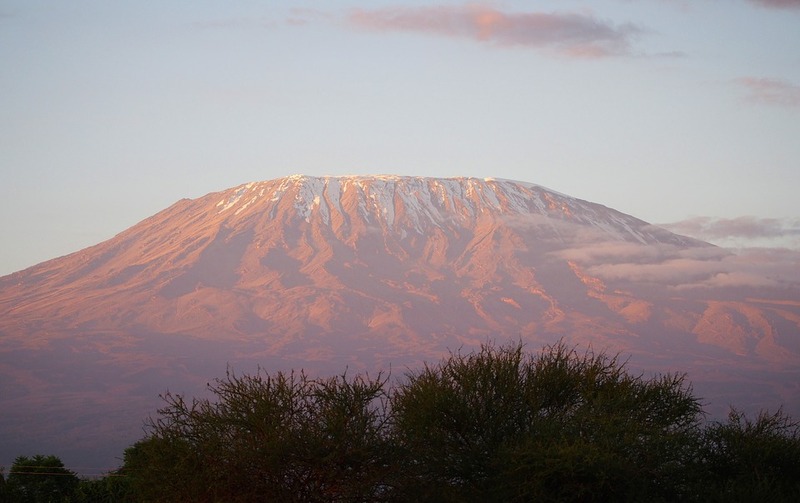 So let’s take a look at a few reasons why Kilimanjaro climbing is so loved among many. This mountain also known as the ‘roof of Africa’ will leave you feeling like you’re on cloud nine when you reach its summit. It offers an extensive few of all that surrounds it, as well as being one of the only places a view of the equator is attainable. You don’t have to be short on exceptional imaginary when you’re surrounded by something so glorious. Have a celestial experience while you camp out on the mountain and see an astronomical amount of stars in the sky, fish for the selection of unique fauna and flora; it’s beauty at its best. While your eyes are gazing along the paths of this pleasant mountain and taking in all that there is to behold, you’re also burning a heap of fat. This trek will not only leave you tantalized and maybe a little tired, it will be a tremendous way to keep fit. Climb and cut calories at the same time; this is definitely a factor that drives many to take on the challenge of ascending this mountain. Don’t only aim high on these Alps, aim high in your mind. What better way to make yourself feel good than conquering a mountain like this one. It’s no light thing, so once completed it’ll leave you smiling from ear to ear and chuffed about what you’ve accomplished. It takes a significant amount of skill, stamina, and self-motivation, so to overcome the various obstacles and still come out on top is cause for rejoicing. It’s an achievement that doesn’t have to be just be talked about, you’re images captured can boast of it, as well as it being a great accomplishment to jot on your C.V. to impress future employers. There’s much controversy over the fact that the glaciers are shrinking from this mountain and that potential by 2030, the glaciers could disappear. It’s a disappointing point, but whether this will be the case or not, the climb is something that you should grab while it lasts. You don’t have to miss out on this marvellous experience, a trip up it can be just around the corner. And even if this mountain stays standing, you want to venture it while you’re still standing and fit a healthy; when ailments and age hinder you it may not be a possibility, so take to it while you can. Nigeria is a country that is very pluralistic, both ethnically and legally. Essentially, three legal systems exist: the Islamic law, customary law, and English law. And, at times, these laws are conflicting, as someone like Nenadi Esther Usman is well aware of. This is because Nenadi Esther Usman was born Esther Nenadi, a Christian, but married Mr. Usman, a Muslim man. That said, Nigeria, and even the traditional places like the state of Southern Kaduna, accept marriages under each of those law systems as being legal. Sometimes, however, people do choose to have multiple marriage ceremonies, under each of those laws. Senator Nenadi Esther and her husband both agreed to be married. 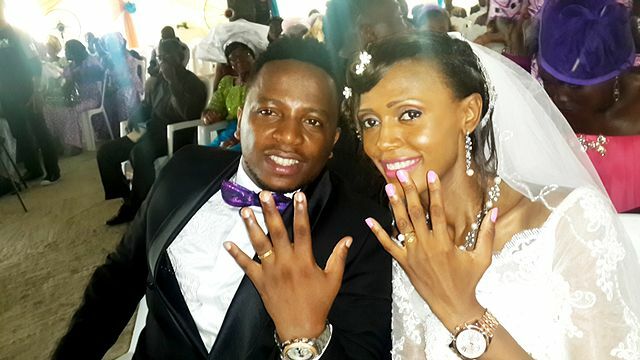 Usman filed his intention to be married to Nenadi Esther, and said notice was entered by the registrar, remaining open for 21 days, after which the marriage certificate was issued. During this 21 day period, anyone is able to object to the marriage. As the former finance minister, Esther Nenadi Usman though some protest may have been made due to the interfaith nature of their wedding and her being from Kaduna, but none were made. There are a number of issues, or caveats, that may be raised in objection to a marriage. If these caveats are raised, the registrar refers them to the High Court, who hold the ultimate decision. That it is held at an approved location between 8am and 6pm on the presence of at least two witnesses. That a recognized minister conducts the ceremony. The man and woman to agree to be married. That the woman’s parents have consented. That the man has paid a dowry. That the woman is handed over to the man. If these conditions are met, the marriage is classed as legally valid. Both man and woman must agree to be married. A male member of the woman’s family must consent to the marriage. The man must provide a dowry worth at least N5000. At least two witnesses must be present during the ceremony. In terms of interfaith marriages, this is only permissible if the man is a Muslim and the woman is a “people of the book” (Christian or Jew), which Esther is. Africa rarely seems to get much of a mention when it comes to Worldwide festivals which is strange considering the range of attractive, strange and lively festivals which are held across the continent. Today we are going to take a look at one of the coolest festivals across Africa, the Chale Wote street art festival which is held in Ghana each year. If you fancy heading to an altogether different kind of street art festival then you don’t need to go to New York or London, this year you should be heading to Ghana. 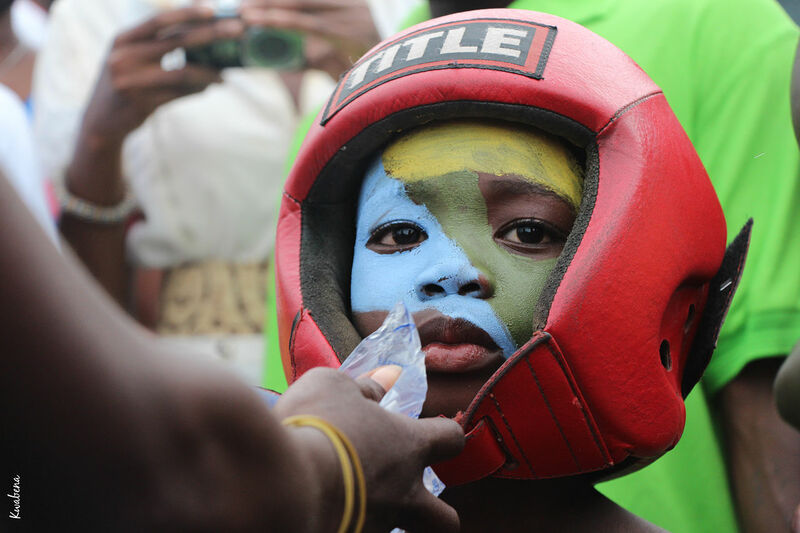 This brilliant modern festival is held each year in Accra, the capital city of Ghana. Previously held in September, the festival is now hosted on the last weekend of August. The festival can be seen throughout the city streets and many community centers and public forums are opened up to celebrate the festival. The festival was put in place in order to create an exchange between local and international artists where they could all gather in one place to hold a festival of music, dance and of course, street art. The festival attracts street artists from all over the World who look to exchange ideas and concepts with local African artists. The festival is a blending of international styles which seek to promote art in Africa and to promote African art and culture worldwide. The festival is still in its youth after having just five festivals but already the event is gaining mass popularity and each year has seen more artists join the movement and more visitors arriving to enjoy the show. The festival always seeks to push the boundaries of a wide-variety of concepts and styles and for this reason it has become so attractive to artists from around the World. Quite honestly, you should expect a 6 day festival of all things positive colorful and well, African. There is constant music, constant partying, colors surround you wherever you go and the locals embrace all who come from afar to their city. You should dispel any illusions that you have about Africa when you think about Accra, this is an exciting, modern and ‘happening’ corner of the World, never mind Africa and if you want to truly experience the best of this continent’s culture and style then you should be heading to Accra this year to enjoy the brilliant Chale Wote street art festival.